NASHVILLE, Tenn. (July 25, 2016) – Fans of American music superstars Dailey & Vincent will get an up-close and personal experience as the award-winning duo hits the road throughout 2016 with a jam-packed tour schedule which includes stops throughout North America. In addition to captivating audiences with their radiant harmonies and precise instrumentation, fans will also get the opportunity to meet the multi Grammy-nominated group during autograph sessions at venues and festivals. The Springer Mountain Farms sponsored tour kicked off earlier this year, with additional stops recently added (see dates below). 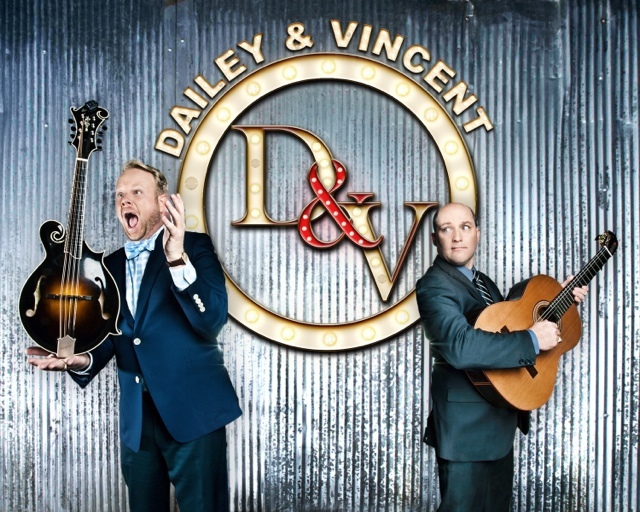 The dynamic duo will also host additional episodes of their hit music-driven television show, “The Dailey & Vincent Show.” The 30-minute program appears weekly on RFD-TV, which is available in 63 million households across all 50-states (check local listings here). In addition to musical performances and appearances by famous guest artists, the spectacle also features other guest segments, along with a cooking portion sponsored by Springer Mountain Farms, where music’s top stars cook up some tasty treats. The 3-time IBMA “Entertainer of the Year” and 3-time IBMA “Vocal Group of the Year” award winners will also bring back the Dailey & Vincent LandFest. The fourth annual festival takes place in Denton, N.C. from Sept. 15-17. In addition to daily performances from Dailey & Vincent, the three-day festival also features appearances by Grammy-award winning Earls of Leicaster, Country and Gospel Music Hall of Fame member Jimmy Fortune, Bluegrass chart-toppersBalsam Range and many more. For more info on tickets, camping or for any of your Dailey & Vincent LandFest needs, please visit:daileyvincentfest.com.